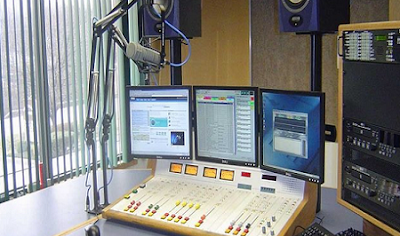 Twenty three radio and television stations across Nigeria have been fined for various breaches of broadcasting rules set by the National Broadcasting Commission, NBC. The NBC spokesperson, Maimuna Jimada, said in a statement that the stations were punished for hateful speech, vulgar lyrics and unverifiable claims. The breaches contravened the provisions of the Nigeria Broadcasting Code in the third quarter of 2017, according to the NBC. Speaking to Premium Times, Wednesday, the spokesperson said there will be higher sanctions if erring stations fail to comply with the fine. “It is clearly stated in the code, if you are sanctioned this way and you don’t comply then you get a higher sanction”, Ms. Jimada said. “Everything is laid down in the code”, she added. She also said the payments will be made into the NBC account. Mrs. Jimada further said the contraventions were made between June and September this year and all the erring stations were fined according to the provisions of the Nigeria Broadcasting Code. For using hateful speech, Family Love FM Port Harcourt was fined N200, 000 on 9/6/2017; ABS FM Awka fined N100,000 on 1/7/17; Express FM Radio Kano also fined N300,000 on 12/9/17, 16/9/17 and 17/9/17. For using indecent musicals, the NBC fined RoyalFM Abuja, Flo FM Umuahia, Radio Continental Lagos and Crystal 100.5FM Minna N100,000, N100,000, N200,000 and N100,000 respectively. For making unverifiable claims in their broadcast, the regulator punished Crowther FM Abuja, Harmony FM Abuja, Inspirational FM Uyo, BCA FM Umuahia, ABS FM Awka, Minaj Systems Radio, Obosi, IBC (Orient TV), Owerri, Rainbow FM, Isheri, Globe FM Bauchi, Arewa Radio, Kano, EBS Radio Benin and Bond FM Lagos with fines of N100,000, N100,000, 100,000, 150,000, 100,000, N100,000, N50,000, N100,000, N100,000,N100,000, N100,000 and N499,000 respectively. As part of efforts to stem the growing tide of hate speech in the country, the federal government in June directed the NBC, to sanction any radio or television station that broadcasts hate speech. Also ahead of the forthcoming elections, the regulatory body said it will impose heavy sanctions on broadcast stations which promote hate speeches.